Seattle DJC.com local business news and data - Environment - How do you measure the value of a green building? Focus on what you can quantify, such as higher rent and lower cost to operate. The Joseph Arnold Lofts sold in last May, setting a regional record for price per square foot. In October, The Martin apartments sold for a record price per unit. In December, Stone34 went for $70.1 million. There is something missing from these headlines and those of many other recent property sales. The Martin is a LEED gold building. The Joseph Arnold Lofts is Green Globes certified. Stone34 participated in Seattle’s Deep Green Pilot Program, designed to aggressively reduce energy and water use. The question is, what was the impact of sustainability on these record sale prices, and how do we measure this impact so we can replicate it? Design interventions around site, water, energy, materials and indoor environment have made many buildings more durable, efficient and healthy. They are better buildings in many ways for tenants, owners and investors. But there isn’t a reliable way to quantify how much better, and what specific financial value sustainable features add. Certification is one approach to making a case for green, and perhaps the best place to start comparing properties. According to CoStar’s summary of their often-cited 2008 study “Commercial Real Estate and the Environment,” LEED buildings showed rent premiums of $11.33 per square foot over non-LEED buildings and have 4.1 percent higher occupancy. Rental rates in Energy Star buildings represented a $2.40 per square foot premium over comparable non-Energy Star buildings and had 3.6 percent higher occupancy. Energy Star buildings sold an average $61 per square foot higher, while LEED buildings demanded $171 more per square foot. 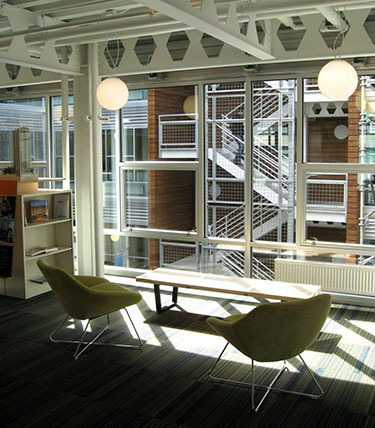 Offices in Terry Thomas are naturally lit and ventilated. 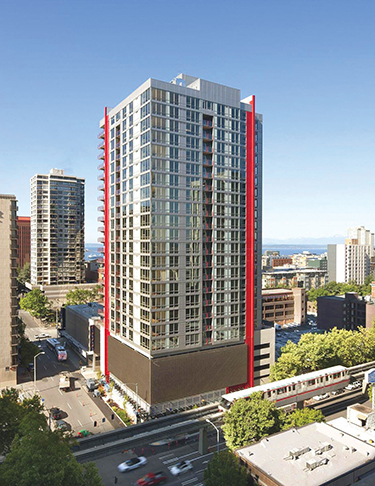 The Martin, a LEED gold-rated apartment tower, set a Seattle sales record when it was acquired last year for $606,383 per unit. 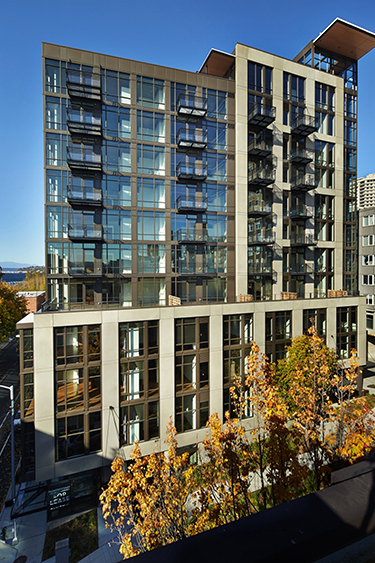 The Joseph Arnold Lofts is the first Seattle apartment tower to receive a Green Globes certification. Last year it sold for $68 million.